This factory service upgrade kit addresses a problem with games that use the large 192 x 64 dot matrix display where the display intermittently goes dead/blank during operation and may cut in/out during game play. Installation takes approximately 10 minutes and does not require any soldering or removal of any components. Includes new wiring harness and complete instructions. 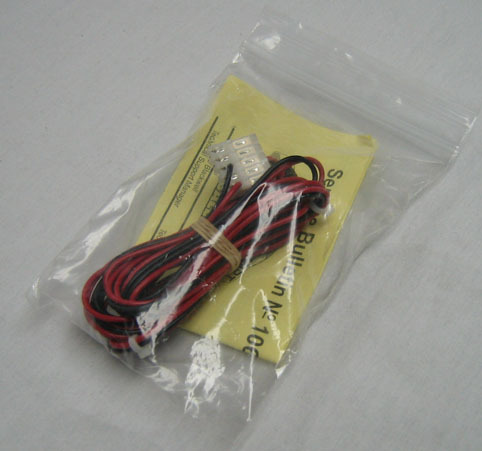 NOTE: Installing the wiring harness in this kit requires pressing, or 'staking' new wires into an existing connector on the game's power supply (instructions are included). You can use a very small flat blade screwdriver to 'stake' wires into the connector, or use a 'punchdown' tool- our part #s 13-3504, or 478-4517, available in our Wire and Connector Tools section.